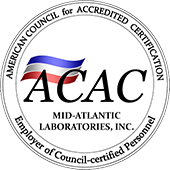 Mid-Atlantic Laboratories, Inc is an independent analytical testing laboratory located in Port Royal, Virginia. Our Corporate offices are located in King George, VA. We specialize in the analysis of environmental samples for organic, inorganic, and microbiological parameters. Our laboratory was established in 1991 with special design attention given to sample flow and handling, air flow and data transfer. Mid-Atlantic Lab expanded its facilities by adding two additional commercial facilities with over 5,000 sq/ft in 1999. The current facility has been installed with a state-of-the-art HVAC system to address the need for positive pressure in certain areas of the lab and negative pressure in other areas of the lab (i.e. sample preparation areas). The facility has been designed so that all procedures and analyses that are considered incompatible are not performed in the same area. The entire building was pre-wired for a Local Area Network (LAN) to accommodate direct data acquisition and a Laboratory Data Management System. 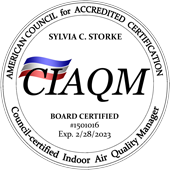 In April 2007, we became certified by Small Business Administration (SBA) as a Small, Woman owned, HUBZone Company. We have an excellent infrastructure in place to facilitate the production of accurate and valid data. Our lab personnel are provided with new, automated instrumentation to improve reproducibility and increase productivity. 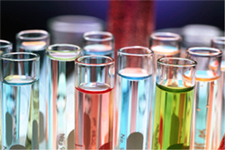 Qualified environmental scientists head each department with many years of hands-on laboratory experience. We have a full time QA Officer, two full-time Project Management people, two full time document control/report production people and several Client Service Representatives.